The handmade pendent and bicone beads are crafted out of brass using an age old method referred to as the "lost wax" technique. The flat coin trade beads are Kankanmba and the process is being revived in Morocco. 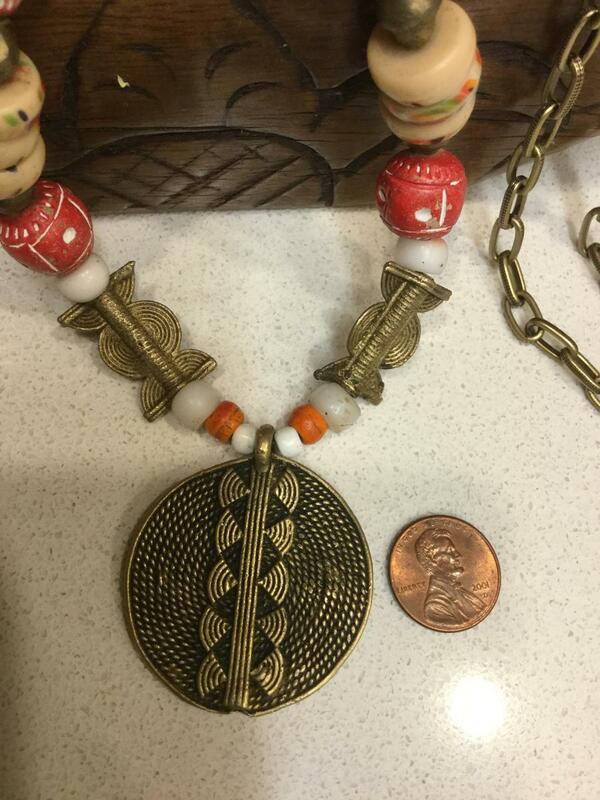 The red globe clay beads are handmade in Mali, West Africa. The length is 33 inches plus a 1.5 in. pendent and is long enough to slip over your head.